Project 2013: a new year, a new vision! Fundraising has already started this year to provide for the basic needs of our children’s home – food, uniforms, education, etc. We have already had collections in both the Mander and Wulfrun Centres in Wolverhampton, and a number of other venues have been lined up throughout the year. Can you spare a couple of hours to help us? Having taken the best part of the last couple of years, 2012 saw the completion of our Children’s Home. Whilst it obviously remains central to our work, with the building work now done, it enables us to look for a new project to undertake. 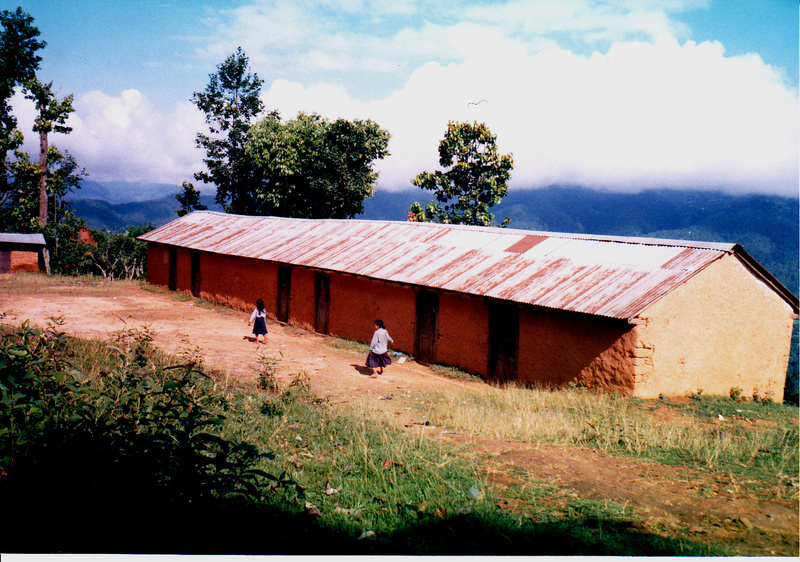 The primary school in Chainpur, home village of our house father, Babin Lama, has needed attention for some years. It is single storey with five classrooms and a good playground, but the roof leaks badly, especially in monsoon. We wish to rebuild it with seven rooms to include a new staffroom and office. The usual materials need to be sourced – bricks, cement, wood, iron bars – as well as zinc plate roofing (although tiles would be preferable – less noisy but inevitably more costly). The estimate is £6,400 which would include furniture, toilets and washing facilities and the hiring of a site manager at £5 per day and other local labour. Gap year students and others would be welcome to get involved and help. If you are able to organise a fundraising event – be it a fun run or marathon, a dance or music event, or a coffee morning, raffle, cupcake party, etc – we’d love to hear from you. We can also offer a laptop presentation “Nepal: the Heavenly Kingdom” if you have a group that may be interested. Please get in touch to find out more or book a date. Help us to continue with the work we are doing. As a small charity, please be assured that 100% of the donations received are used to fund our projects. So we are always very grateful for all of your continued support. Enter your email address to receive occasional updates on our work.